You are invited to tune in to watch the broadcast version of All Our Father's Relations on CBC Television! All Our Father's Relations will premiere on CBC's Absolutely Canadian series across BC and Alberta on Saturday, September 30th, 7PM local time. You can watch on TV or online! Please share this exciting news with your friends, family, and networks. Post your thoughts using #allourfathersrelations. "Absolutely Canadian is a national weekly one-hour series showcasing documentaries and performance programs that tell unique stories from communities across Canada. All programs are produced locally, often by independent filmmakers, and have aired as part of a regional 'Absolutely' series." The reception of All Our Father's Relations has been overwhelmingly positive. We really enjoy the array of questions that arise from each Q&A and other opportunities to meet some of you - thank you for your support! Here are the screenings we have coming up for July and August 2017. *Last updated on June 2, 2017. We are excited to screen All Our Father's Relations at many upcoming film festivals, community gatherings, and conferences across North America, and as far as China! Click on the links below for further information and to reserve tickets. This list will be updated as new screenings are arranged. We are looking forward to our upcoming screening at the University of British Columbia (UBC), where many of our core team members currently work and teach! Come and join us on Monday, March 27th from 5-7PM at the Frederic Wood Theatre for a screening followed by a Q&A with some of the filmmakers and participants. Encore Vancouver Screening & Fundraiser, January 28th, 2017. All Our Father's Relations screened for over 500 people over two screenings at the SFU Goldcorp Centre for the Arts, Djavad Mowafaghian Cinema. Thank you to all our volunteers and everyone who attended! We had an amazing experience at the 20th annual Vancouver Asian Film Festival! It's an honour to have won the award for Best Canadian Feature at the Vancouver Asian Film Festival sponsored by the Directors Guild of Canada and adjudicated by Allan Harmon, Jennifer Liao, and Adelina Suvagau. Thank you so much to the Grant family and everyone on our production team who made this moment possible. We are very excited to announce that All Our Father's Relations will premiere at the Vancouver Asian Film Festival as the Canadian Curated Feature on Sunday, November 6th at 4:30PM! Panel discussion to follow. 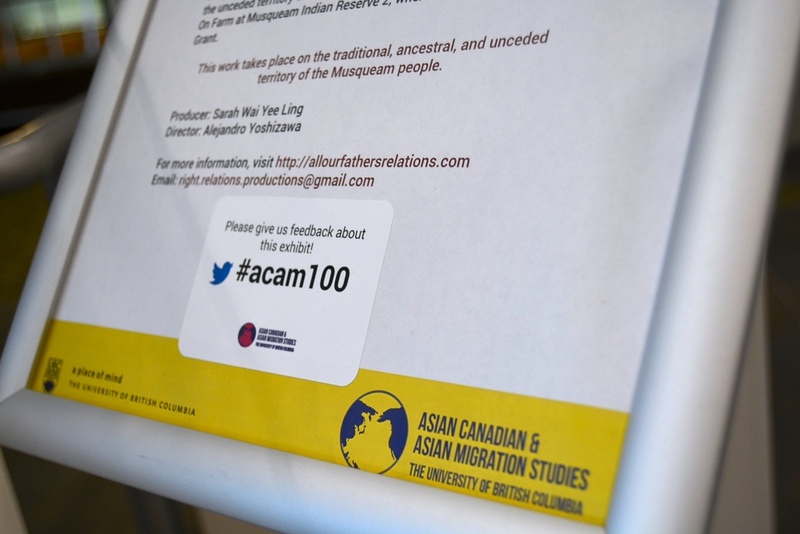 Select photographs from All Our Fathers Relations were featured in a special exhibit presented by the University of British Columbia's Asian Canadian and Asian Migration Studies Program. Asian students have been enrolled at UBC since it first held classes in 1915. As the university commemorates its centennial, ACAM has created an exhibit showcasing projects that celebrate Asian diasporic histories. During the month of May, It’s About Time: A Retrospective of Asian Presence at UBC, on display at the Irving K. Barber Learning Centre offered visitors an opportunity to explore alternative histories involving Asian communities in and around campus. In the display showcasing All Our Father’s Relations, viewers were invited to learn about the Grant family at Musqueam through a selection of childhood photographs of the Grant siblings and their parents. 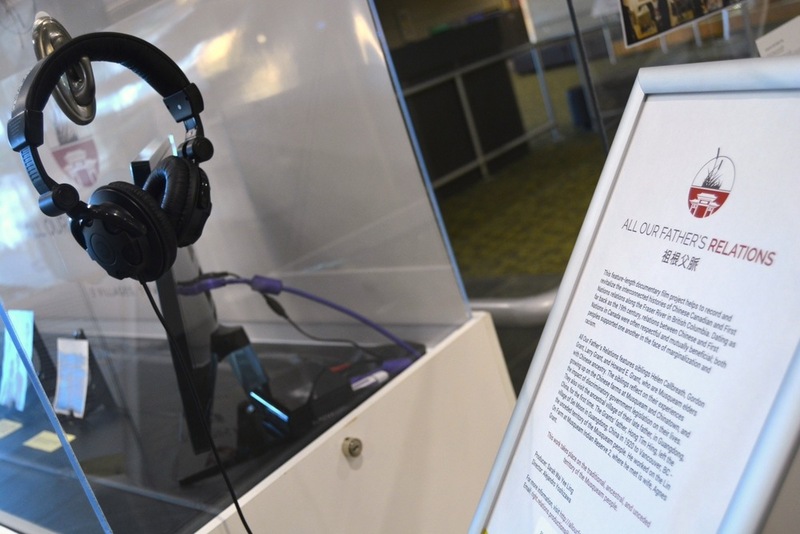 By watching the film trailer using headphones provided alongside the display case, they could also hear the voices of the Grants, now elders of their community, recalling their family history. 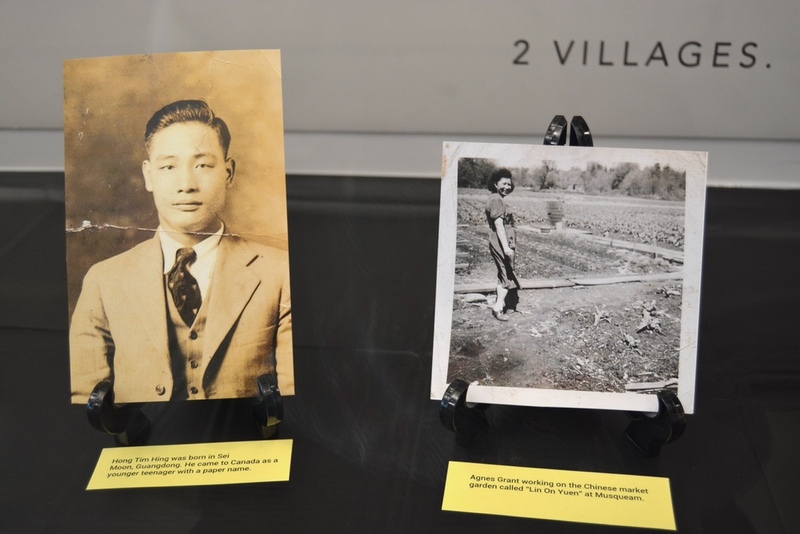 Their recollections introduce viewers to their Musqueam mother and Chinese father, prompting us all to reflect on ongoing issues of colonialism and settlement as we engage with this exhibit on the unceded, ancestral, and traditional lands of the Musqueam people.